I spent months locating, studying and compiling information to identify Ohio Nuptial Flight Periods. After much research, and digging around I have compiled a list of nuptial ant flight periods in Ohio. While this is probably not an exhaustive list, it should make the process a bit easier when attempting to find new queen ants. 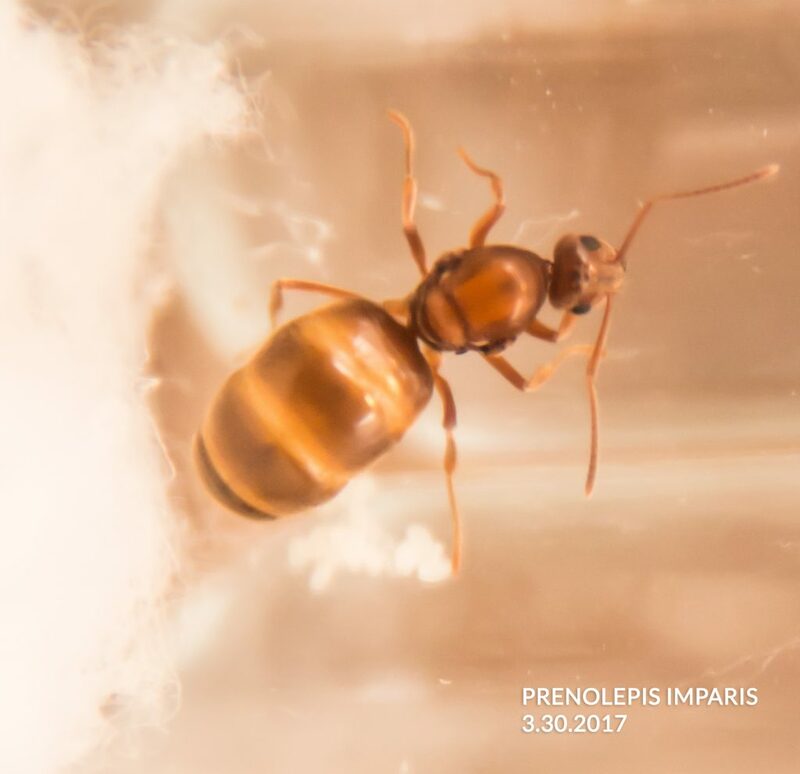 A Prenolepis imparis founding queen with eggs inside a test tube setup. Look for nuptial flights right after it rains and a day or two after a rainfall on warm days. Ants tend to fly after rainfall because of the increased humidity and possibly that the soil is easier to dig. Without further aduex, here is the flight calendar. I can not guarantee any validity of species other than what I found on the web, please feel free to comment and I will keep this chart updated as frequently as possible. The numbers represent the number of sightings found in the antweb database. The larger the number the more likely that ant will be during a nuptial flight period. This entry was posted in Ants on April 27, 2017 by Mike McBrien.